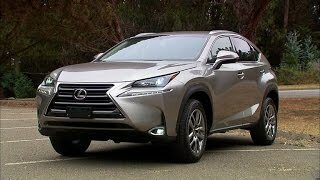 At the 2013 Frankfurt Motor Show Lexus unveiled its LF-NX Turbo Concept and a year after it we are here with the production version being introduced at 2014 Geneva Motor Show with the name, Lexus NX 2015. Offered in three powertrains, our model for the day is the turbocharged Lexus NX 200t 2015. Let us have closer look at the model. Interior of Lexus NX 200t 2015 will portray you both the aggression with its hard-metal accents and luxury through its soft touch materials. Starting with the cabin we have center-stack surrounded by silver hue that will leave an impeccable effect over you. The blend of silver in form of highlights spreads its wings till the top of dashboard and door panels while the same accent can also be noticed on the lower spoke of steering wheel. Grabbing your attention further and adding to the technological aspect you have a Human Machine Interface mounted in center stack and above it is located a touchscreen holding resemblance to an iPad, giving you full command over the Lexus NX 200t 2015. In all the interior of Lexus NX 200t 2015 is stunning in terms of looks, features and comfort. 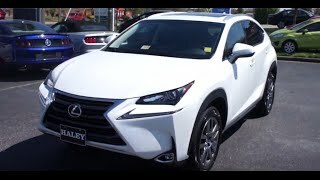 Exterior of Lexus NX 200t 2015 is highly appreciable with its looks. Starting with the front fascia you’ll notice the large spindle grille spreading sportiness sitting amidst the slim new headlights with LED accents while the legacy gets an additional star through the broad front wheels. Entire exterior portrays commendable sculpting especially the swooping roofline and muscular outer look will flawlessly mark the entity. 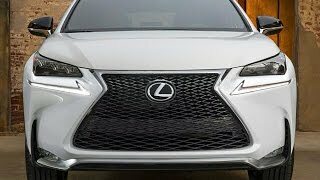 Moving towards rear fascia of Lexus NX 200t 2015 you’ll notice wide wheel arches fitting perfect over the muscular tires. Though we didn’t find rear as attractive as the front but it’s still something you can go ahead with. 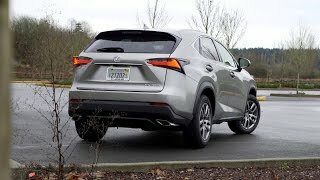 Lexus NX 200t 2015 get its power through a 2.0 Liter turbocharged engine delivering 235 hp and peak torque of 350 nm paired to six-speed automatic transmission. However apart from this the performance specifications are still unshared by Lexus but looking at its stunning looks and the segment it belongs to we can expect something good coming from the company but till then just like them we would wait and keep patience till we get entire details about the Lexus NX 200t 2015.